"Queen Elizabeth II Bridge" redirects here. For other uses, see Queen Elizabeth II Bridge (disambiguation). 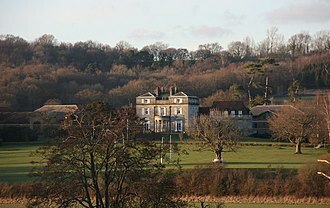 The crossing's development started in the late 1930s, but was interrupted due to the Second World War and resumed in the 1950s. The original tunnel catered for a single lane of traffic in each direction, but rising traffic levels required the second tunnel to be built. The M25 connected to the tunnels at both ends when completed in 1986, and this increased traffic put pressure on the tunnels' capacity. A Private Finance Initiative scheme was started in 1988 to build the bridge. The combined crossing now handles four lanes of traffic in each direction. The crossing had always been tolled, and from 1 April 2003 this became a charge, though since 2008 it has been free from 10 pm to 6 am. An automatic number plate recognition charging scheme named the "Dart Charge" began in November 2014. As a result, the booths on the Kent side were removed and the charge is now only payable online. A residents' scheme is available, offering discounts for people living near the crossing. The crossing spans the River Thames between Dartford, Kent, to the south and Thurrock, Essex, to the north. 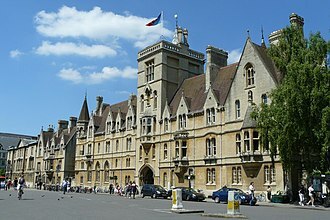 It is about 20 miles (32 km) east of the centre of London, outside the Greater London boundary. The two tunnels are 1,430 metres (4,690 ft) long, while the cable-stayed bridge is 137 metres (449 ft) high[a] with a main span of 450 metres (1,480 ft). A 50 miles per hour (80 km/h) speed limit is in place in both directions. The rail line High Speed 1, between St Pancras and Ebbsfleet International Stations, passes under the crossing approach roads on the north side of the river, at a near right angle. The design capacity is 135,000 vehicles per day, but in practice the crossing carries around 160,000. It has been described by the Highways Agency as "a vital transport link for the national and South East economies", by the former Secretary of State for Transport, Patrick McLoughlin, as "a crucial part of the country's strategic road network", and by the local Thurrock Council as "one of Europe's most heavily used crossings and complex traffic management systems". It is signed as a major destination on London's orbital route, the M25, though the crossing and its approach road are an all-purpose road (the A282),[b] allowing traffic prohibited from motorways to use it. Southbound traffic crosses the four-lane bridge, while northbound traffic uses both of the two-lane road tunnels. The bridge can be closed due to high winds or maintenance. On these occasions, traffic uses the tunnels in both directions. The next nearest vehicle crossings to the west of Dartford are the Woolwich Ferry and the Blackwall Tunnel, both well within East London. When the bridge is closed in high winds and for maintenance, no convenient diversion exists through London for the higher-limit southbound vehicles. Those over 5.03 metres (16.5 ft) are diverted around the far side of the M25. A number of new crossings have been proposed as relief for the Dartford Crossing. The proposed Thames Gateway Bridge to the west was given planning permission by Transport for London (TfL) in December 2004, but was cancelled in November 2008 when Boris Johnson became Mayor of London. Johnson subsequently proposed the Gallions Reach Ferry, a ferry crossing in the same location, as an alternative. 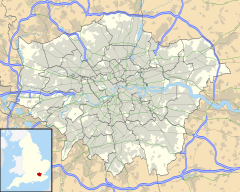 The Lower Thames Crossing is a proposed tunnel to the east between Shorne, Kent and South Ockendon, Essex. Thurrock Council suggest that this crossing will be essential for managing congestion. A public consultation on the scheme ended in March 2016, with the route announced in April 2017, though Highways England do not expect to start construction before 2026. Since 2008, a local residents' scheme gives 50 crossings to car drivers resident in the Dartford and Thurrock council areas for an annual registration fee of £10, with additional crossings at 20p each. On 1 March 2014, this scheme was extended to include privately owned two-axle goods vehicles. A further option was introduced giving unlimited crossings for £20 annually. Around 44,000 drivers take advantage of this scheme each year. Although the website for paying the charge is operated by the UK Government, the day to day operations are run by French public roads operator Société des Autoroutes du Nord et de l'Est de la France (SANEF). The idea of a tunnel crossing was first proposed by the Ministry of Transport in 1924. Initial reports at the start of the year suggested a crossing between Tilbury and Gravesend, replacing a ferry service, but this had been rejected by July in favour of a route further upstream, near Dartford. By 1929, the total cost of building the tunnel had been estimated at £3 million (equivalent to £167 million in 2016). The tunnel was planned to be part of a general orbital route around London and was provisionally known as part of the "South Orbital Road". The first engineering work to take place was a compressed air driven pilot tunnel, which was drilled between 1936 and 1938. Work on the tunnel was delayed due to World War II, and resumed in 1959, using a Greathead Shield, similar to the work on the Blackwall Tunnel some 60 years earlier. The delay in work due to the war allowed the tunnel's design to be improved, which included a better ventilation system. After negotiations with the Ministry of Transport, Kent and Essex County Councils obtained government approval to charge tolls in 1960, before opening. The two-lane bore tunnel opened to traffic on 18 November 1963; the total project cost was £13 million (equivalent to £237 million in 2016) and it initially served approximately 12,000 vehicles per day. The toll was originally two shillings and sixpence, equivalent to 12.5p post-decimalisation, and approximately equivalent in purchasing power to £3.00 in 2018. The Dartford Tunnel Act 1967 gave Kent and Essex County Councils authority to change the tolls, and in December 1977, the toll was raised from 25p to 35p for cars, 40p to 55p for 2 axle goods vehicles, and 60p to 85p for HGVs. By 1984, the toll for cars had risen to 60p. The first tunnel was expected to carry two million vehicles a year but by 1970 was carrying over eight million. That year, Michael Heseltine, then a junior transport minister, announced that a second tunnel would be built in conjunction with the North Orbital Road, later to become the M25. Construction was approved in April 1971, with an initial expected opening date in 1976. Work was delayed due to a lack of funds, which was resolved by EEC funding granted in 1974. The second tunnel opened in May 1980, allowing each tunnel to handle one direction of traffic, by which time the joint capacity of the two tunnels had increased to 65,000 vehicles per day. Connection of the crossing to the M25 was completed on the northerly Essex side in September 1982 (Junction 31), and to the southerly Kent side in September 1986 (Junction 1a). Following the completion of the M25 in 1986, the daily demand had grown to 79,000 vehicles. Each tower on the Queen Elizabeth II bridge is 137 metres (449 ft) high. During the early 1980s, it was anticipated that traffic through the tunnel would rise on the completion of the M25 in 1986. At the time, the expectation was that other routes in London would be improved instead, diverting 15% of traffic away from the tunnel. In 1985, the Transport Minister, Lynda Chalker, announced that the number of toll booths would be increased to 12 each way, but concern grew that two tunnels would not be able to cope with the full demands of a completed M25. Between September 1985 and December 1986, proposals for improvements to the Dartford Crossing underwent several changes, and in 1986, a Trafalgar House consortium won a bid to build a new bridge at Dartford crossing, valued at £86 million (£196 million in 2016). At the time there were several other privately financed projects planned or under construction in the UK, including the Second Severn Crossing. From 1981 until the establishment of the Private Finance Initiatives (PFIs) in the late 1980s, private investment projects were governed by the Ryrie Rules which dictated that "any privately-financed solution must be shown to be more cost-effective than a publicly-financed alternative, and that privately-financed expenditure by nationalised industries could not be additional to public expenditure provision" [annual budget], "which would be reduced by the amount of private finance borrowed." On 31 July 1988, a Private Finance Initiative concession was enabled under the Dartford-Thurrock Crossing Act 1988, which transferred control of the crossing from Kent and Essex county councils to Dartford River Crossing Limited, a private company managed by Rodney Jones. The company would also bear the debt of the bridge, then under construction, "financed 100% by debt, with no equity contribution". [c] The private company was at risk of not recuperating their costs, but ultimately the Dartford scheme demonstrated that the Ryrie Rules were no longer a barrier to the private financing of public infrastructure projects. The concession was scheduled for 20 years from the transfer date, with a stipulation that it could end when debts had been paid off, which was agreed to have been achieved on 31 March 2002. According to the International Handbook on Public-Private Partnership, the chief financing for the project came from a "20-year subordinated loan stock, 16-year loan stock and £85 million (£174 million in 2016) as a term loan from banks". Construction of the bridge started immediately after the creation of the PFI in 1988. It was designed by German civil engineer Hellmut Homberg [de], and the two main caissons supporting the bridge piers were constructed in the Netherlands. Each caisson was designed to withstand a bridge strike of a ship weighing up to 65,000 tonnes and travelling up to 18.5 kilometres per hour (11.5 mph) The bridge deck is about 61 metres (200 ft) high, and it took a team of around 56 to assemble its structure. During construction of the approach road, a World War II bomb was found in its path, which required closure of the entire crossing. The bridge was opened by Queen Elizabeth II on 30 October 1991. The total cost of construction was £120 million (£211 million in 2016), including £30 million (£49 million in 2016) for the approach roads. The proposed name had been simply the Dartford Bridge, but Thurrock residents objected and suggested the Tilbury Bridge, leading to a compromise. At the time of opening, it had the longest cable-stayed span of any bridge in Europe. It is the only bridge across the Thames downstream of Central London to be opened since Tower Bridge in 1894. Under the 2000 Transport Act, the A282 Trunk Road (Dartford-Thurrock Crossing charging scheme) Order 2002 allowed the continuation of the crossing fee, which officially became a charge and not a toll on 1 April 2003. Management of the crossing was contracted to Le Crossing Company Limited on behalf of the Highways Agency. In September 2009 the Highways Agency made a new contract with Connect Plus (M25) Limited. As well as maintaining the crossing, the contract required the company to widen around 40 miles of the M25 and to refurbish a tunnel on the A1(M) at Hatfield. In October 2009, the Government announced its intention to sell the crossing as part of a public sector deficit reduction strategy. The announcement was unpopular with local residents, who encouraged drivers to sound their horns in protest when using the crossing. 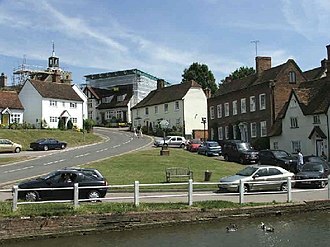 After the change of government following the 2010 Election, the new prime minister David Cameron announced that the crossing might still be sold, despite local opposition, particularly from Gareth Johnson, member of parliament for Dartford. Subsequently, the chancellor George Osborne announced that charges would be increased instead to cover the budget deficit. Pre-pay accounts for the crossing were introduced around this time; drivers held an electronic device called a DART-Tag in the vehicle that automatically deducted the charge at payment booths. This was abolished when the Dart Charge was introduced in 2014. Under the 2008 Charging Order introduced on 15 November 2008, charges between 10 pm and 6 am were discontinued, but standard daytime rates increased, starting at £1.50 for cars. On 7 October 2012 the charges increased to £2 for cars, £2.50 for 2 axle goods vehicles and £5 for multi-axle goods vehicles. By 2012, local businesses were complaining that the crossing's charge booths were impeding local growth. The government announced that a new electronic charging system would be introduced in 2014. Drivers would be able to pay by phone, text, online or in shops. The charge was proposed to increase to £2.50 for cars, £3 for two-axle goods vehicles and £6 for multi-axle vehicles. Drivers not exempt and not paying the charge within 28 days are charged £105. Preparation work on the free-flow scheme started in April 2014. Concerns were raised about reliability, with a Highways Agency report predicting that it could lose up to £6m of unpaid charges per year. In September, the Highways Agency announced that the new scheme would start to operate at the end of November, though related works to remove barriers would continue until April 2015. Subsequently, the date for removal of the booths was confirmed as 30 November. The Dart Charge scheme was considered a success by the project management, who claimed it has reduced peak-time round trips over the crossing by 15 minutes. The Automobile Association said the scheme had faults, while a BBC report showed 1.8 million drivers had been fined for failure to pay in the year since the charge was set up. A total of 1,486,929,267 vehicles have used the crossing as of 31 March 2014. The highest recorded daily usage was 181,990 vehicles on 23 July 2004; since then traffic levels have decreased. From April 2013 to March 2014, 49,645,356 vehicles used the crossing: a daily average of 136,015 vehicles. The total income for the financial year ended 31 March 2012 was £72,147,091, while the corresponding figure for the following financial year was £80,331,662. A 2016 report by Highways England suggested the crossing is used around 50 million times a year. Bicycles are not permitted on the crossing, but cyclists can be carried across the crossing by the transport authority at no charge. Cyclists report to the crossing control offices on either side, using a free telephone service. The transfer takes around 15 to 30 minutes. In October 1963, London Transport ordered five double decker buses based on the Ford Thames Trader chassis for special duties, taking cyclists through the Dartford Tunnel. These had a lower deck purpose-built for carrying bicycles, with upper deck seats for cyclists. Access was via a stairwell to the upper deck starting several feet above the level of the road, accessible from special platforms built at either end of the tunnel; there was also a ladder built into the side of the bodywork for access elsewhere. The design was criticised for failing to protect any passenger from falling off the vehicle, and running costs were estimated at £2,550 per month, with only £45 revenue. The service was reduced to one bus in April 1964 and then cancelled in 1965, to be replaced by the current transfer service. One of these buses has been preserved. The transport of hazardous goods through the crossing is governed by the European ADR Agreement. The Dartford Crossing is class C, which restricts transporting goods such as nitrates and flammable liquids. The introduction of the ADR scheme initially caused confusion, and for a short time, transporting aerosols through the tunnel was banned. Certain hazardous goods vehicles, together with some oversize and abnormal loads (if permitted) may require escorting by Highways Agency Traffic Officers. The crossing authority must hold exercises in conjunction with the emergency services. In 2006 Exercise Orpheus was held, involving the closure of both road tunnels for five hours. The tunnel is patrolled by Highways Agency Traffic Officers. Officers may stop and direct traffic on the crossing and its approach roads, and must be in uniform to exercise their powers. The crossing's speed limit is enforced by speed cameras; between October 2012 and June 2014, 24,229 drivers were caught speeding, with some travelling as fast as 94 miles per hour (151 km/h) A spokesman from the Highways Agency said the cameras were "helping us improve safety and make journeys more reliable". The bridge also has a reduced speed limit of 30 miles per hour (48 km/h) when crosswind is faster than 50 miles per hour (80 km/h) or headwind faster than 60 miles per hour (97 km/h), and is closed entirely if Britain's national weather service, the Met Office, predicts crosswind above 60 miles per hour (97 km/h) or headwind above 70 miles per hour (110 km/h). The crossing is the busiest in the United Kingdom. Because the design capacity has been exceeded, the crossing is subject to major traffic congestion and disruption, particularly when parts are closed because of accidents or bad weather. Though the Government was adamant that the Queen Elizabeth II Bridge should be designed to avoid closure due to high winds, the bridge has nevertheless had to close on occasions. On 12 February 2014, during the winter storms, it was closed owing to 60 miles per hour (97 km/h) winds, and again on the evening of 13–14 February. At busy times there was significant delay at the payment booths when these existed. Because there are numerous junctions on either side of the crossing, a high proportion of local traffic mixes with long distance traffic, for example travelling from the North and Midlands onwards to Continental Europe. In 2004, a BBC survey reported that the crossing was "the most stressful section of the M25" while in 2009, the crossing was listed in a Royal Automobile Club report as the fourth most congested road in Britain. Though Highways England have reported greatly improved journey times since automatic charging was introduced, Gareth Johnson MP claims otherwise and has insisted that the Lower Thames Crossing, along with improved signing around Dartford, are better options to reduce congestion. In 2015, he said the crossing was Britain's worst stretch of motorway. There are agreed plans to create another crossing of the Thames in the East of London to ease congestion at the Dartford Crossing. ^ Highways England describe the crossing as "a trunk road link (A282) in the M25 London orbital motorway", and the crossing has been described as part of the M25 by Auto Express and The Independent. ^ An alternative source says "near" 100% rather than 100% explicitly. ^ Pickford & Blythe 2006, p. 256. ^ Simpson, Robert. "Dartford River Crossing: Innovation in Civil Engineering". Dartford Town Archive. Retrieved 12 July 2014. ^ a b "Tunnel Test 2004 – Dartford Tunnel". AA Motoring Trust. September 2004. p. 3. Archived from the original (PDF) on 8 January 2017. Retrieved 22 May 2010. ^ "Thames Bridges Heights". Port of London Authority. Retrieved 7 August 2016. ^ Bishop, Peter (2008). Bridge. Reaktion Books. p. 26. ISBN 978-1-861-89346-8. ^ a b c Protocol for operating the A282 Dartford – Thurrock River Crossing during periods of strong winds (PDF) (Report). Highways England. Retrieved 5 August 2016. ^ East London, Billericay & Gravesend (Map). 1:50,000. Ordnance Survey. Sheet 177. ^ "Dartford crossing – Dart Charge". Automobile Association. 23 November 2015. Archived from the original on 12 August 2016. Retrieved 5 August 2016. ^ Kirby, Lucy (31 August 2012). "£25million to ease hold-ups at Dartford Tunnel". Kent Echo. Retrieved 5 July 2014. ^ Francis, Paul (15 July 2014). "Two Thames crossing options". Kent Messenger. Retrieved 15 July 2014. ^ "Dartford Crossing local resident scheme". 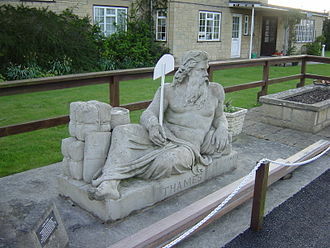 Thurrock Council. Retrieved 5 August 2016. ^ "Dartford Crossing Remote Payment Scheme". Highways England. February 2016. Retrieved 8 August 2016. ^ "Drivers face up to £3m in weekly fines on the Dartford Crossing". Auto Express. 30 March 2016. Retrieved 8 August 2016. There are no longer any toll booths at the Dartford Crossing on the M25. ^ "M25 Dartford crossing: Millions of motorists face fines as crossing prepares to switch from toll-bridge to 'free flow' system". The Independent. 7 November 2014. Retrieved 8 August 2016. ^ "Closures and diversions at Dartford Crossing". Kent Messenger. 30 September 2008. Retrieved 2 July 2014. ^ Morris, Thom (14 May 2014). "Dartford Crossing to get tunnel and bridge closures as Dart Charge introduced and gantries installed near QEII bridge". Kent Messenger. Retrieved 2 July 2014. ^ "Troubled waters". The Guardian. 20 October 2004. Retrieved 6 December 2016. ^ "Mayor outlines ten year plan for massive transport expansion" (Press release). Transport for London. 6 November 2008. Archived from the original on 29 June 2011. Retrieved 11 July 2010. ^ Andrew Adonis (11 June 2013). "Boris can't put off a new Thames crossing in the east". London Evening Standard. Retrieved 26 June 2013. ^ "Lower Thames Crossing: 'More M25 misery' if option agreed". BBC News. 15 November 2016. Retrieved 6 December 2016. ^ a b "Lower Thames Crossing route between Kent and Essex revealed". BBC News. 12 April 2017. Retrieved 26 April 2017. ^ "Tunnel recommended for new Thames crossing". BBC News. 9 July 2013. Retrieved 5 July 2014. ^ "Lower Thames Crossing Consultation". Highways England. 25 March 2016. Retrieved 5 August 2016. ^ "New River Thames road crossing route linking Kent and Essex unveiled". The Daily Telegraph. 12 April 2017. ISSN 0307-1235. Retrieved 22 January 2018. ^ "Campaigners insist Highways England's plans for a Gravesend Crossing will not help Dartford traffic". Kent Online. 4 August 2016. Retrieved 5 August 2016. ^ a b "Dart Charge: Dartford Crossing remote payment". Gov.uk. 1 December 2014. Retrieved 2 December 2014. ^ "Pay the Dartford Crossing charge (Dart Charge)". HM Government. Retrieved 26 July 2017. ^ "Dart charge : Essex charging signs" (PDF). Highways England. Retrieved 7 August 2016. ^ "Dart charge : Kent charging signs" (PDF). Highways England. Retrieved 7 August 2016. ^ a b "Dart Tag". Highways Agency. Archived from the original on 15 July 2014. Retrieved 2 July 2014. ^ a b "Dart Charge date fixed for November 30 when Dartford Crossing goes toll booth free". Kent Messenger. 5 November 2014. Retrieved 6 November 2014. ^ "Dartford Crossing: Dart Charge increasing to £2 for account holders". Kent Online. 1 October 2018. Retrieved 15 October 2018. ^ "Exempt scheme". Dart-tag.co.uk. Archived from the original on 8 February 2011. Retrieved 28 November 2010. ^ "Charges and Methods of Payments". Dart-tag.co.uk. Archived from the original on 4 April 2011. Retrieved 28 November 2010. ^ "Local residents scheme". Dart-tag.co.uk. Archived from the original on 25 March 2012. Retrieved 28 November 2010. ^ "Greater discounts for local residents". gov.uk. Retrieved 11 March 2014. ^ "Record number of local residents signed up for Dartford Crossing discounts". Highways England. Retrieved 7 August 2016. ^ "French firm awarded crossing deal". Kent Online. Retrieved 9 August 2018. ^ "New Thames Tunnel". The Times. 20 December 1924. ^ Burney, Charles (31 July 1924). "Air Force Estimates 1924–25". Hansard. Retrieved 30 April 2014. ^ a b c d e f United Kingdom Gross Domestic Product deflator figures follow the Measuring Worth "consistent series" supplied in Thomas, Ryland; Williamson, Samuel H. (2018). "What Was the U.K. GDP Then?". MeasuringWorth. Retrieved January 5, 2018. ^ Ashley, Wilfrid (16 April 1929). "Thames Tunnel Scheme". Hansard. Retrieved 30 April 2014. ^ TMA 2004, p. xxxii. ^ a b Jardine & McCallum 2013, p. 246. ^ TMA 2004, p. 846. ^ a b c d e f Banister & Berechman 2003, p. 65. ^ Fautley & Garon 2004, p. 263. ^ a b "Golden birthday for Dartford Tunnel". Kent Messenger. 18 November 2013. Retrieved 30 April 2014. ^ a b Moate, Roger (6 February 1984). "Dartford Tunnel Bill". Retrieved 6 July 2014. ^ "Dartford Tunnel : Proposed Increase In Tolls" (PDF). London Gazette. 16 September 1977. Retrieved 7 July 2014. ^ Carmichael, Neil (7 July 1975). "Dartford Tunnel". Hansard. Retrieved 25 May 2014. 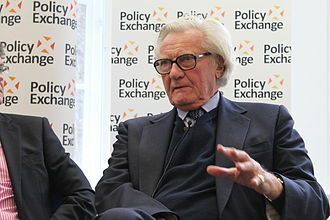 ^ Heseltine, Michael (20 November 1970). "Dartford Tunnel and North Orbital Road". Hansard. Retrieved 25 May 2014. ^ Page, Graham (28 April 1971). "Second Dartford tunnel". Hansard. Retrieved 25 May 2014. ^ Dell, Edmund (8 April 1975). "European Investment Bank Grants (London)". Hansard. Retrieved 25 May 2014. ^ "The M25 – Statistics". Chartered Institute of Highway Technicians. Archived from the original on 25 May 2014. Retrieved 25 May 2014. ^ Chalker, Lynda (19 June 1984). "Dartford Tunnel". Hansard. Retrieved 2 July 2014. ^ Townsend, Cyril; Bonsor, Nicholas; Chalker, Lynda (21 October 1985). "Dartford Tunnel". Hansard. Retrieved 2 July 2014. ^ H.M. Stationery Office 1989, p. 30. ^ House of Lords: Select Committee on Economic Affairs 2010, p. 9. ^ The Institution 1992, p. 10. ^ ITF 2013, p. 42. ^ Miller & Lessard 2001, p. 177. ^ a b Hodge, Greve & Boardman 2010, p. 529. ^ a b HA 2014, p. 5. ^ "About the Crossing". Highways Agency. Retrieved 2 July 2014. ^ a b "Queen Elizabeth II Bridge". Engineering Timelines. Archived from the original on 14 July 2014. Retrieved 2 July 2014. ^ a b Pattison, Jo (28 October 2011). "The man who helped build the Dartford bridge". BBC News. Retrieved 6 July 2014. ^ TMA 2004, p. xiii. ^ O'Neill, Bill (26 October 1991). "Bridge design stretched to the limits: Cable-stayed bridges are a type of suspended crossing. Spare but functional, they exploit a form of bridge engineering that is bringing down the cost of progressively longer crossings". New Scientist (1792). Retrieved 6 July 2014. ^ Bailey, Alan. "The Dartford Crossing – Forerunner of the Private Finance Initiative". Chartered Institute of Highways Engineers. Archived from the original on 14 July 2014. Retrieved 6 July 2014. ^ "Europe imposes road toll VAT". BBC News. 12 September 2000. Retrieved 6 July 2014. ^ "Motorists "let down" by toll u-turn". BBC News. BBC. 1 April 2003. Retrieved 27 February 2008. From [1 April 2003] motorists should have been able to cross for free but the government's change of mind means car drivers still have to pay the £1 charge. The AA Motoring Trust, a new charity linked to the AA said the government had broken its promise to scrap the toll. In 1996, the consortium behind the bridge proposed building a second bridge at no extra cost to the Treasury, on condition that the concession period was increased to allow them to recover their costs and generate a profit. ^ a b c HA 2014, p. 6. ^ Stratton, Allegra (12 October 2009). "Gordon Brown's fire sale of public assets to raise £16bn". The Guardian. London: Guardian Media Group. Retrieved 11 July 2010. Not all of the assets are surprising, with chancellor Alistair Darling announcing last month that the government intended to sell off the Dartford crossing as part of its attempt to meet the £16bn target. ^ "Dartford Crossing future in doubt". BBC News. 26 April 2010. Retrieved 6 July 2014. ^ "DARTFORD: New MP vows to fight Dartford Crossing sale and tolls". News Shopper. 16 May 2010. Retrieved 6 July 2014. ^ "Dartford Crossing toll charge to be increased". BBC News. 18 June 2010. Retrieved 6 July 2014. ^ "Dart Charge – FAQ". Dart Tag (official website). Archived from the original on 25 March 2013. ^ "Dart Charge: Dartford Crossing remote payment". Highway Agency. 16 December 2014. Retrieved 7 August 2016. ^ "The A282 Trunk Road (Dartford-Thurrock Crossing Charging Scheme) Order 2008". Highways Agency. 21 July 2008. Retrieved 6 July 2014. ^ "Dartford Crossing toll charges set to rise". BBC News. 22 May 2012. Retrieved 6 December 2016. ^ "Businesses want Dartford Crossing toll booth removal speeded-up". BBC News. 30 November 2012. Retrieved 4 July 2014. ^ Penning, Mike (22 May 2012). "Revised charges at Dartford Crossing". Department for Transport. Retrieved 7 July 2014. ^ "Dartford Crossing fines up to £105 when barriers removed". BBC News. 1 November 2012. Retrieved 4 July 2014. ^ "Dartford free-flow crossing work begins". BBC News. 22 April 2014. Retrieved 4 July 2014. ^ "Dartford Crossing to lose '£6m a year in unpaid tolls'". BBC News. 17 July 2013. Retrieved 4 July 2014. ^ "Dartford Crossing cashless system date set". BBC News. 20 September 2014. Retrieved 25 September 2014. ^ "More than 1.8 million fines at Dartford crossing under Dart charge". BBC News. 30 November 2015. Retrieved 8 August 2016. ^ "Dartford – Thurrock River Crossing : Traffic flow". Highways Agency. Archived from the original on 14 July 2014. Retrieved 8 July 2014. ^ "Lower Thames Crossing – About". Lower Thames Crossing (official website). Retrieved 7 August 2016. ^ "Improving our network : The Dartford – Thurrock River Crossing". Highways Agency. Retrieved 4 July 2014. ^ Heather, Chris (21 November 2013). "The ill-fated cycle bus". The National Archives. Retrieved 5 July 2014. ^ "Thames Trader – Country Bus". Country Bus. Retrieved 29 October 2011. ^ "ADR Tunnel Codes explained" (PDF). Road Haulers' Association. Retrieved 11 July 2014. ^ ADR Classifications : Part 2 (PDF) (Report). United Nations. p. 103. Retrieved 11 July 2014. ^ Walton, Christopher (3 August 2010). "Tunnel troubles: hauliers get to grips with ADR codes". Commercial Motor. Retrieved 5 July 2014. ^ "Tunnels shut for safety exercise". BBC News. 10 June 2006. Retrieved 7 July 2014. ^ "Dartford-Thurrock Crossing Act 1988 (section 28)". National Archives. Ministry of Transport. Retrieved 7 July 2014. ^ "Thousands caught speeding on Dartford Crossing". BBC News. 7 June 2014. Retrieved 4 July 2014. ^ Woodman, Peter (22 May 2012). "Dartford-Thurrock River Crossing toll charges to rise". The Independent. Retrieved 13 July 2014. ^ "Dartford Crossing celebrates golden milestone". Sevenoaks Chronicle. 18 November 2013. Archived from the original on 14 July 2014. Retrieved 13 July 2014. ^ Couchman, James (9 July 1987). "Dartford-Thurrock Crossing Bill". Hansard. Retrieved 6 July 2014. ^ "QE2 Bridge at Dartford Crossing reopens after closure". BBC News. 12 February 2014. Retrieved 6 July 2014. ^ "30mph speed restriction on QEII bridge at Dartford crossing". Kent Echo. 14 February 2014. Retrieved 6 July 2014. ^ Champion 1995, pp. 91–92. ^ "Most stress at Dartford crossing". BBC News. 8 March 2004. Retrieved 6 July 2014. ^ "Dartford's crossing misery is official!". Kent Messenger. 27 April 2009. Retrieved 7 July 2014. ^ "Kent talks over Dartford crossing 'worst motorway'". BBC News. 30 September 2015. Retrieved 8 August 2016. ^ "Better signage call for Dartford crossing, MP says". BBC News. 3 October 2015. Retrieved 5 October 2015. Banister, David; Berechman, Joseph (29 August 2003). Transport Investment and Economic Development. Routledge. ISBN 978-1-135-80270-7. Bridle, Ron; Baldwin, Peter; Porter, John; Baldwin, Robert, eds. (2004). The Motorway Achievement, Volume 1. Thomas Telford. ISBN 978-0-7277-3196-8. Fautley, M.P.B. ; Garon, J.H. (1 July 2004). Essex Coastline: Then and Now. Matthew Fautley. ISBN 978-0-9548010-0-7. Hodge, Graeme A.; Greve, Carsten; Boardman, Anthony E. (1 January 2010). International Handbook on Public-Private Partnership. Edward Elgar Publishing. ISBN 978-1-84980-469-1. House of Lords: Select Committee on Economic Affairs (17 March 2010). Private finance projects and off-balance sheet debt: 1st report of session 2009–10, Vol. 1: Report. The Stationery Office. ISBN 978-0-10-845964-1. H.M. Stationery Office (1989). M25 Review: The Report. H.M. Stationery Office. ISBN 978-0-11-550915-5. The Institution (1992). Highways and Transportation. The Institution. ITF (26 September 2013). ITF Round Tables Better Regulation of Public-Private Partnerships for Transport Infrastructure. International Transport Forum, OECD Publishing. ISBN 978-92-821-0395-1. Jardine, F.M. ; McCallum, R.I., eds. (2013). Engineering and Health in Compressed Air Work: Proceedings of the International Conference, Oxford, September 1992. Routledge. p. 246. ISBN 978-1-135-82609-3. Miller, Roger; Lessard, Donald R. (2001). The Strategic Management of Large Engineering Projects: Shaping Institutions, Risks, and Governance. MIT Press. ISBN 978-0-262-26351-1. Pickford, Andrew T. W.; Blythe, Philip T. (1 October 2006). Road User Charging and Electronic Toll Collection. Artech House. ISBN 978-1-58053-858-9. "Dartford-Thurrock River Crossing Charging Scheme : Account 2012–2013" (PDF). Highways Agency. January 2014. Retrieved 2 July 2014. Wikimedia Commons has media related to Dartford Crossing. Shorne is a village and civil parish in the Gravesham District of Kent, England. 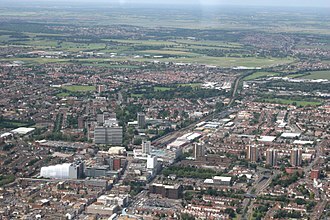 The parish is three miles to the east of Gravesend, most of the land is well-drained but its marshes, the Shorne Marshes reach down to the Thames Estuary and are an SSSI amid the North Kent Marshes on the Hoo Peninsula proper. Shorne village is clustered around two locations, upper Shorne is about 3 miles east of Gravesend, south of the A226 with Lower Shorne north of the A226 extending toward the Thames Estuary and Shorne Marshes. There are several areas of woodland to the west and east of the village including Great Crabbles Wood and Starmore Woods to the east and Randall Wood, Shorne Wood, most of the woodland to the west is part of the picturesque Shorne Wood Country Park. Upper Shorne has its own school, Medical Practice, grocery store, hair dressers. A vehicle repair shop and car saleroom is located at the Shorne crossroads on the A226, there are three public houses – the Rose and Crown, the Copperfield and the See Ho. Himansu Basu the noted Obstetrician Gynaecologist and active member of Rotary International lives in Shorne, cricketer George Bennett came from Shorne. In 1975 the serial killer, Patrick Mackay, committed his final murder at St Katherines, Shorne is part of the electoral ward called Shorne and Luddesdown. According to the results for 2001 there were 2,485 people in 1,028 households in the Parish of Shorne. Of those residents between the ages of 16 to 74, 60% had a qualification and 86% of the dwellings were owner occupied. The population of Shorne Parish at the 2011 census was 2487 residents in 1033 housholds, eastward the A2 connects directly to the M2 at Strood leading to the Isle of Thanet coastal resorts and to the Dover ports. Parallel to the A2 runs the Eurostar high-speed rail link to the continent via the Channel Tunnel, there is easy access to Gravesend railway station situated about 4 miles from Shorne. Other transport issues relating to Shorne centre around a proposed new Lower Thames Crossing with one option to build a 4 or 6 road link around, the threat of a new Thames Estuary Airport nearby on the Isle of Grain seems to have subsided. St Pancras railway station, known as London St Pancras and since 2007 as St Pancras International, is a central London railway terminus located on Euston Road in the London Borough of Camden. It was opened in 1868 by the Midland Railway as the terminus of its main line. When inaugurated, the train shed by William Henry Barlow was the largest single-span roof in the world. The restored station has 15 platforms, a centre. St Pancras is owned by London and Continental Railways and is managed by Network Rail, high-speed domestic services to Kent, run by Southeastern, began in December 2009. St Pancras is often termed the cathedral of the railways, the train shed, completed in 1868 by the engineer William Henry Barlow, was the largest single-span structure built up to that time. The terminal is one of relatively few stations in England to feature multilingual signage, all notices are written in English. Ashford International station has similar bilingual signs, other stations with foreign-language signs include Southall, which has signs in Punjabi, Wallsend Metro station, and Moreton-in-Marsh. In March 2014, the public relations team commissioned a study of mispronounced words. 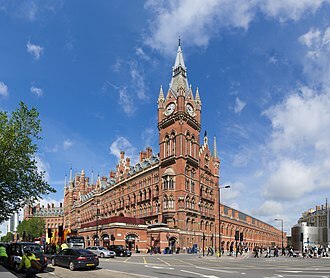 St Pancras occupies a site orientated north/south, deeper than it is wide, the south is bounded by the busy Euston Road, with the frontage provided by the former Midland Grand Hotel. Behind the hotel, the Barlow train shed is elevated 5 m above street level, to the west, the original station is bounded by Midland Road with the British Library on the other side of the road. To the east, it is bounded by Pancras Road and is opposite Kings Cross station, the new northern half of the station is mainly bounded to the east by Camley Street, with Camley Street Natural Park across the road. To the north-east is Kings Cross Central, formerly known as the Railway Lands, a complex of intersecting railway lines crossed by several roads, St Pancras contains four groups of platforms on two levels, accessed via the main concourse at ground level. The below-surface group contains through platforms A and B, and the level has three groups of terminal platforms, domestic platforms 1–4 and 11–13 on each side of international platforms 5–10. Sir Patrick Allen McLoughlin PC MP is a British Conservative Party politician. He first became a Member of Parliament at the 1986 by-election in West Derbyshire, the constituency became the Derbyshire Dales for the 2010 general election, McLoughlin has remained the seats MP. On 4 September 2012, he was appointed Secretary of State for Transport, as a former miner, he is one of the few Conservative MPs to have been a manual worker before being elected to Parliament. On 14 July 2016, he became Chairman of the Conservative Party, McLoughlin was born in Stafford, the son and grandson of coal miners. He was educated at the Cardinal Griffin Roman Catholic School in Cannock, from 1974, he worked for five years as a farm worker and, after 1979, worked underground at the Littleton Colliery in Cannock. He was a member of the National Union of Mineworkers, and he moved from underground belt attendant to Area Marketing representative in September 1985, five months after the end of the strike. McLoughlin was elected as a councillor on the Cannock Chase District Council, serving for seven years from 1980, in 1982, McLoughlin served as the Chairman of the National Young Conservatives. McLoughlin unsuccessfully contested Wolverhampton South East at the 1983 general election, matthew Parris, Conservative MP for West Derbyshire, had resigned from the House of Commons to pursue a media career and McLoughlin was chosen to contest the 1986 by-election. He held the seat, albeit narrowly, with a 100 majority. A year later, McLoughlin was moved to the Department of Trade and he joined the government as Assistant Whip in 1995, becoming a Lord Commissioner in 1996. 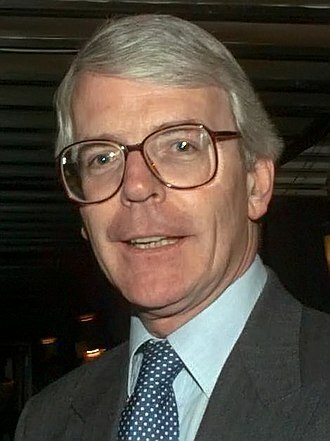 After the Conservative Partys defeat at the 1997 general election, he remained in the office in opposition. He was promoted to Chief Whip by David Cameron in 2005, McLoughlin has served on many select committees. As Opposition Chief Whip, he was sworn of the Privy Council in June 2005, Prime Minister David Cameron appointed McLoughlin as the governments Chief Whip and Parliamentary Secretary to the Treasury in the Conservative-Liberal Democrat coalition government. During his tenure as Chief Whip, he was reprimanded by the Speaker John Bercow for inappropriate behaviour within the House of Commons, in a government reshuffle in September 2012, McLoughlin was appointed Secretary of State for Transport. Thurrock is a constituency represented in the House of Commons of the UK Parliament since 2010 by Jackie Doyle-Price, a Conservative. 1945-1983, The Urban District of Thurrock, 1983-2010, The Borough of Thurrock wards of Aveley, Chadwell St Mary, East Tilbury, Grays Thurrock North, Grays Thurrock Town, Little Thurrock, Stifford and West Thurrock. Its scant social housing contrasts with its modest incomes and fewer than average large gardens, history of results Thurrock was for 38 years from and including 1945 a large-majority Labour seat in parliamentary elections. The post-Falklands War election in 1983 gave majority of less than 4% of the vote to a recently-split Labour Party — for which see SDP, a Conservative gained the Thurrock seat in 1987 with a small majority. In 1992 the division was regained by a Labour candidate, namely Andrew MacKinlay, in the 2010 general election, a Conservative gained the seat, with Jackie Doyle-Price being elected as the MP with a majority of 92 votes, the third most marginal in that election. The 2015 result gave the seat the 8th most marginal majority of the Conservative Partys 331 seats by percentage of majority, the seat has bellwether outcome status since 1997. Prominent frontbenchers Dr Oonagh McDonald was Opposition Spokesman on Defence from 1981–1983, held by the Conservatives on a majority of just under 600 votes, with UKIP and Labour both under 975 votes away. Thurrock is seen as a marginal between the Conservatives, Labour and UKIP. This industrial Essex seat, east of London, includes the towns of Grays, historically known for quarrying and heavy industry, it is now a retail destination thanks to the huge Lakeside shopping centre. Retail and distribution are big employers, while Tilbury Power Station has closed, Tilbury is Londons major port, handling millions of tonnes of cargo a year and is a major cruise ship terminal. Workless claimants, registered jobseekers, were in November 2012 higher than the average of 3. 8%. The regional average for the Eastern England region was considerably lower, Thurrock is a unique 3-way ultra-marginal seat, the Conservatives will need to defend against UKIP and Labour to hold it. The speed limit in each location is indicated on a nearby traffic sign or by the presence of street lighting. Signs show speed limits in miles per hour or use the speed limit symbol. The speed limit is 70 mph on motorways,70 mph on dual carriageways,60 mph on single carriageways and 30 mph in areas with street lighting, Other classes of vehicles are subject to lower limits on some roads. Some vehicle categories have various lower maximum limits enforced by speed limiters, ever since they have been introduced, speed limits have been controversial. Default maximum speed limits apply to all roads where no specific lower numeric speed limit is already in force, the default speed limit is known as the national speed limit. The NSLs vary by type and for vehicle types. Some classes of vehicles are required to have speed limiters which enforce a maximum speed by physical means, older vehicles still in use do not have limiters fitted or have them set at a higher speeds. New vehicles should be fitted with limiters as follows and coaches, Speed limit road signs are used to inform road users where speed limits other than the applicable national speed limit apply. For some types of vehicles, on types of road. Variable speed limits are used on some major traffic roads and these can be changed in response to weather, traffic levels, time of day or for other reasons with the currently applicable speed limit is displayed using an electronic road sign. Variable speed limits were introduced on some congested major routes as an element of controlled motorway techniques to improve traffic flows for given prevailing conditions, part-time variable speed limits may be used outside schools. Rarely, minimum speed limits are used, such as through the Mersey Tunnels, to free flow. Circular blue signs with white numbers indicate the start of these limits, according to the government, speed limits are used to help achieve appropriate traffic speeds for safety, and environmental and accessibility reasons. The Department for Transport state that speed limits play a role in the effective management of traffic speeds in relation to the safety of both drivers and all other road users. The Thames Gateway Bridge was a proposed crossing over the River Thames in east London, England. It was first mooted in the 1970s but never came to fruition, in November 2008, Boris Johnson, the Mayor of London, formally cancelled the entire £500 million scheme. In 2009, a new project was launched involving a potentially new crossing between Tower Bridge and the Dartford Crossing. The bridge was to have a span of about 650 metres, with a 50-metre vertical clearance for ships, the bridge was to have had four lanes for general traffic and two lanes for public transport use. It would have had a lane, a pedestrian walkway. For vehicles, the nearest other Thames crossings are the Blackwall Tunnel, the Dartford Crossing, a public inquiry on the scheme sat at Charlton Athletic F. C. from June 2005 to May 2006. The inspector recorded, prior to the inquiry,2,949 objections and 47 expressions of support and it drew organised opposition from a number of environmental groups, including Friends of the Earth, they joined a local opposition group to argue against the bridge at the inquiry. During the inquiry, a further 1,819 written representations were received opposed to the proposed development and he recommended that there should be no bridge, side street changes, or compulsory purchase orders. This new crossing is crucial to supporting plans for an extra 160,000 houses in the Thames Gateway region and it was reported in May 2008 that the new London Mayor, Boris Johnson, planned to put the bridge project on hold. On 6 November 2008, Johnson announced an investment in transport infrastructure. The reasons cited for cancellation included local opposition, insufficient funding, projected detrimental effects on traffic flow and concerns over the bridges location and it was independently confirmed that the public inquiry would not reopen. In October 2009, it was reported that consultants Mott MacDonald had won a contract to investigate the possibility of new crossings between Tower Bridge and the Dartford Crossing. This annotated satellite photograph shows the location of the proposed bridge, lower Thames Crossing, a 2009 proposal, still ongoing, for a new crossing somewhere in the Dartford and Gravesend area. The northern portal lies just south of the East India Dock Road in Blackwall, A the southern entrances are just south of The O2 on the Greenwich Peninsula. B The road is managed by Transport for London. By the 1930s, capacity was becoming inadequate, and consequently a second opened in 1967. It forms part of a key route into Central London from South East London, the tunnels are no longer open to pedestrians, cyclists or other non-motorised traffic, and the northbound tunnel has a 4. 0-metre height limit. The London Buses route 108 between Lewisham and Stratford runs through the tunnels, a tunnel in the Blackwall area was originally proposed in the 1880s. By this time, all bridges in London east of the ferry at Chiswick were toll-free. The Thames Tunnel Act was created in August 1887, which provided the framework necessary to construct the tunnel. The initial proposal, made by Sir Joseph Bazalgette, called for three parallel tunnels, two for traffic and one for foot, with an expected completion date of works within seven years. The original tunnel as built was designed by Sir Alexander Binnie and built by S. Pearson & Sons and it was constructed using tunnelling shield and compressed air techniques and a Greathead shield. It was lit by three rows of incandescent street lights, to clear the site in Greenwich, more than 600 people had to be rehoused, and a house reputedly once owned by Sir Walter Raleigh had to be demolished. The tunnel was opened by the Prince of Wales on 22 May 1897. The total cost of the tunnel was £1.4 M and 800 men were employed in its construction, the southern entrance gateway to the tunnel, known as Southern Tunnel House, was designed by LCC architect Thomas Blashill and was built just before the tunnel was completed. It comprises two floors with an attic, today the western bore is only used for northbound traffic and is not accessible to vehicles taller than 4 m. The tunnel itself has several bends, whose purpose was to prevent horses from bolting once they saw daylight. The tunnel carries two lanes of traffic, though higher vehicles need to keep to the lane so that they do not hit the tunnels inner lining. A tunnelling shield is a protective structure used during the excavation of large, man-made tunnels. When excavating through ground that is soft, liquid, or otherwise unstable, there is a risk to workers, a tunnelling shield serves as a temporary support structure. It is in place for the short time from when the tunnel is excavated until it can be lined with a permanent support structure. The permanent structure may be made up of, depending on the period, concrete, cast iron, the structure nevertheless protected the men from cave-ins as they laboured within it, digging the tunnel out in front of themselves. The first successful tunnelling shield was developed by Sir Marc Isambard Brunel and patented by him and his son Isambard Kingdom Brunel used it to excavate the Thames Tunnel beginning in 1825. Brunel is said to have inspired in his design by the shell of the shipworm Teredo navalis. The shield was built by Maudslay, Sons & Field of Lambeth, brunels original design was substantially improved by Peter W.
Barlow in the course of the construction of the Tower Subway under the River Thames in central London in 1870. The shield was 7 ft 3in in diameter, the Barlow design was enlarged and further improved by James Henry Greathead for the construction of the City and South London Railway in 1884, with tunnels 10 ft 2in in diameter. His system was used in the driving of the 12-foot-1 3⁄4-inch diameter running tunnels for the Waterloo & City Railway which opened in 1898. The station tunnels at the City station were the largest diameter tunnelling shields in the world at the time, to this day, most tunnelling shields are still loosely based on the Greathead shield. An original Greathead Shield used in the excavation of the deep London Underground lines remains in place in disused tunnels beneath Moorgate station, the early deep tunnels for the London Underground were built in this way. The shield divided the workface into overlapping portions that each worker could excavate, a tunnel boring machine consists of a shield and trailing support mechanisms. A rotating cutting wheel is located at the front end of the shield, behind the cutting wheel there is a chamber where the excavated soil is either mixed with slurry or left as-is, depending on the type of the TBM. Ebbsfleet International railway station is a railway station in Ebbsfleet Valley, in the Borough of Dartford, Kent,10 miles outside the eastern boundary of Greater London, England. It is near Dartford and the Bluewater shopping centre to the west, the station is part of the Thames Gateway urban regeneration, a project of national priority. It stands on the High Speed 1 rail line, around 400 metres south-west of Northfleet railway station, the station lies off the A2 trunk road, about 5 mi from its junction with the M25 motorway. During the London 2012 Olympics, it served as a primary service as it is very close to the M25 motorway. The name Ebbsfleet is a creation of seventeenth-century antiquaries, partly inspired by the name of Ebbsfleet in Thanet,75 km to the east. The station was opened to Eurostar and dedicated in a ceremony by Dame Kelly Holmes on 29 January 2008. The similarity of its name to that of Dartford railway station,6 mi away, was of concern, the Olympic Javelin or Javelin was a high-speed train shuttle service operated by Southeastern over High Speed 1 during the 2012 Summer Olympics and Paralympics. The service ran for the duration of games, between St Pancras International station and this station, via Stratford International station, which is close to the Olympic Park. During the Summer Olympics a service of eight trains an hour ran between St Pancras and Ebbsfleet, calling at Stratford, replacing the usual East Kent highspeed service, two of these were extended to Ashford and one to Faversham. Between 11pm and 1am the service between St Pancras and Ebbsfleet was increased to twelve per hour, on High Speed 1 there are avoiding lines in each direction and four platforms, two serving international Eurostar services and two the Southeastern Highspeed services. Southeastern services travelling between London and the North Kent Line use a junction to the north of the station and are served by another pair of platforms that curve away to the east, ticket barriers control access to all platforms. The Channel Tunnel Rail Link Act allows a total of 9,000 car parking spaces to be constructed, despite being in close proximity to the station, Northfleet has no bus connection to the station. A Merseyside Police car equipped with mobile ANPR. Must be able to recognize international license plates as such. River Thames at Woolwich showing two vessels - the Ben Woollacott (centre) and the Dame Vera Lynn (right) - operating the cross-river ferry service. Village sign outside the old post office at Shorne. Little St. Katherine's at Shorne. St Peter and St Paul's church at Shorne. The war memorial at Shorne. The ORT lanes at the West 163rd Street toll plaza, going northbound on the Tri-State Tollway near the Chicago suburb of Hazel Crest. E-ZPass Express lanes on the Atlantic City Expressway in New Jersey, which allows the motorist to pay their toll without stopping or slowing down. Highway 407 overhead cameras used to capture rear license plates in Ontario, Canada. Street markings and signs with the white-on-red C alert drivers entering the congestion charge zone (CCZ) at Tower Hill. The tunnelling shield used for the construction of the Xinyi Line on the Taipei Metro system in Taiwan. Side view of the tunnelling shield (far right) used to construct the Thames Tunnel; the permanent brick supporting structure is built immediately behind it. The M4 Motorway is managed by Highways England. Thurrock in Essex, showing boundaries used from 1945 to 1950.